You might need some extra help when driving under difficult conditions such as fog, heavy rain, snow or smoke. Fog lights are designed to give you the extra visibility needed. There are different kinds of after-market fog lights available to suit everyone’s needs and preference. Although Halogen is the oldest type of light source for vehicle lights it has stood the test of many years and it remains a great addition to the fog light arena. When used properly fog lights can increase the safety features of your vehicle. Fog lights are supposed to be used only in very low visibility conditions and is not to be used unnecessarily as they might result in the blinding of oncoming drivers. 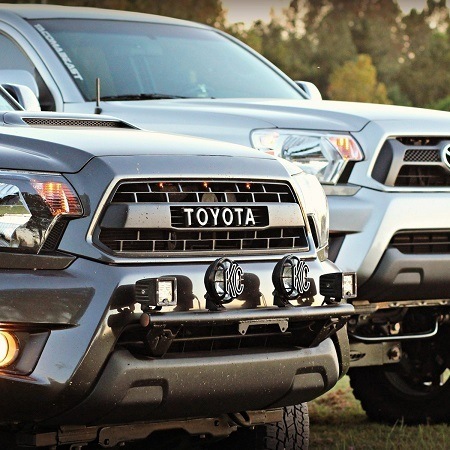 If your vehicle is not manufactured with standard fog lights or if you want to upgrade your existing fog lights to a more powerful version, the Apollo Pro Fog Light might be just the right light for your off-road vehicle. 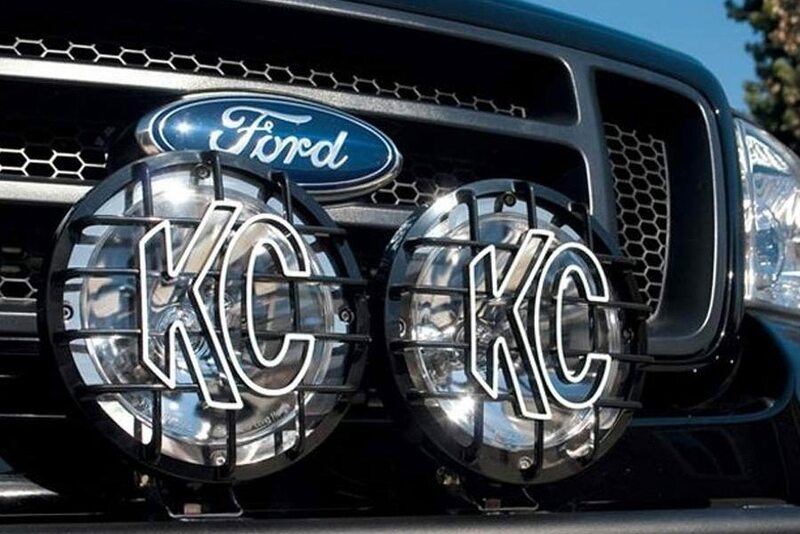 KC Apollo Pro Halogen Fog lights are a round pair of fog lights and they are extremely bright and efficient. It uses powerful 100W Halogen bulbs to provide its light beam. An optical glass lens that is almost unbreakable and computer designed polished reflectors that makes the beam more controlled, combines with the halogen bulbs to provide a supreme light output. This increases visibility in poor weather conditions and also improves clarity in off-road night lighting needs. The Apollo Pro is suitable for even the most demanding off-road terrains or conditions and is suitable for your Jeep, truck or other SUV. These lights are engineered with built-in stone guards for added lens protection against debris, which is why you don’t need to worry about these lights when driving though rough terrain. It is durable and designed to last for many years. It is a compact light with an IP67 rated Polymax housing that is dust and moisture proof. IP67 implies that it is able to be submerged in 1 m of static water for up to thirty minutes. This is an important advantage since it is specifically designed for off-road use where you have the chance of driving through pools of water. The halogen fog lights add extra light directly in front of your vehicle as well as on the sides to illuminate road edges. It is a low, broad angle light beam which works well in fog, snow, heavy rain, dust or smoke. It is designed to penetrate small particles and fog directly in front of your vehicle and their beam pattern illuminates a wide area. The set includes a relay wiring harness set with 2-Pin weather proof connectors, as well as a 30 A illuminated switch. All the wires needed are included. 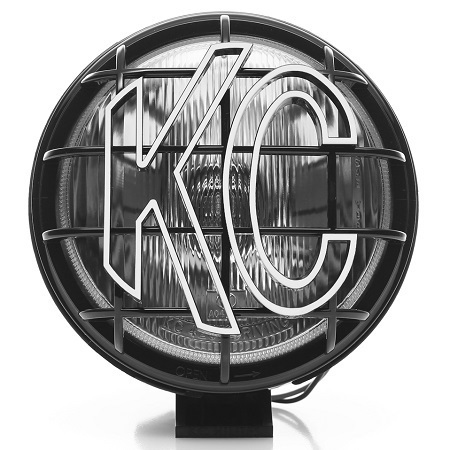 KC HiLiTES is a solid brand when it comes to auxiliary and off-road lightning. They are well known for superb quality and performance. These lights come with the KC HiLiTES 23-year warranty which gives you as the buyer so much more peace of mind. This is an efficient and powerful fog light and is very handy to use under low visibility conditions. Installation is easy according to most users. Mounting is quick and with regards to wiring, the user manual has easy, well illustrated instructions to guide you along. Therefore, you might attempt to do it yourself if you prefer not to take it to a technician. Everything you need for installation is included in the box, including all wires and the switch. The fact that it so durable makes the Apollo Pro a sure favorite for off-road usage. The added 23-year warranty from KC HiLiTES is a great advantage and is an indication of the type of quality products the company manufacture. The majority of users gives only positive feedback about these lights. However, some have reported that the Halogen bulbs doesn’t last long and needs regular replacement. This is however one of the drawbacks of Halogen lights, since they provide light by heating a filament with electricity. Halogen lights are quite power consuming on your electrical system as well. Another complaint that some users had, is that when the fog lights are mounted to a bar the light is not steady due to road vibrations that translate to the light. Halogen lights are generally more affected by vibrations, but the mounting point might also be an issue. A few users have also not been happy with the on, off switch and said the quality of that is poor. 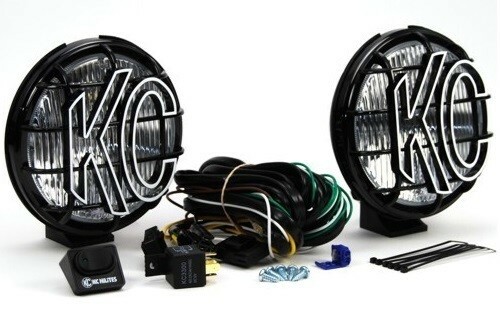 The KC HiLiTES Apollo Pro Fog lights are selling for about 130 USD and are available online. It is best to use a reputable online store like Amazon, since this is an electrical device and you need to be able to return it if it got damaged during transit. KC HiLiTES Apollo Pro Fog lights are an excellent quality fog light which provides a superior light source. It is durable and rugged and won’t let you down under harsh conditions. Mount it for your next off-road adventure and see how much it will change your view.